JACOB One only. (one-of-a-kind) Measuring 18" (45cm) tall. Please Note: Jacob is a collectors bear and not suitable for children. Jacob is a hand made 5 jointed traditional Bear. 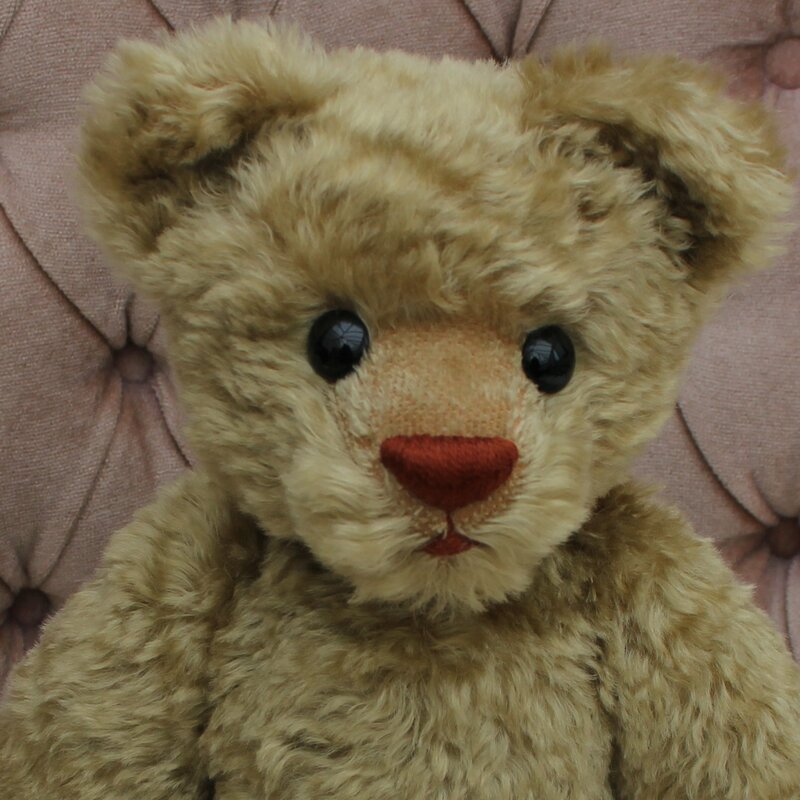 Please Note: Bramble is a collectors bear and not suitable for children. 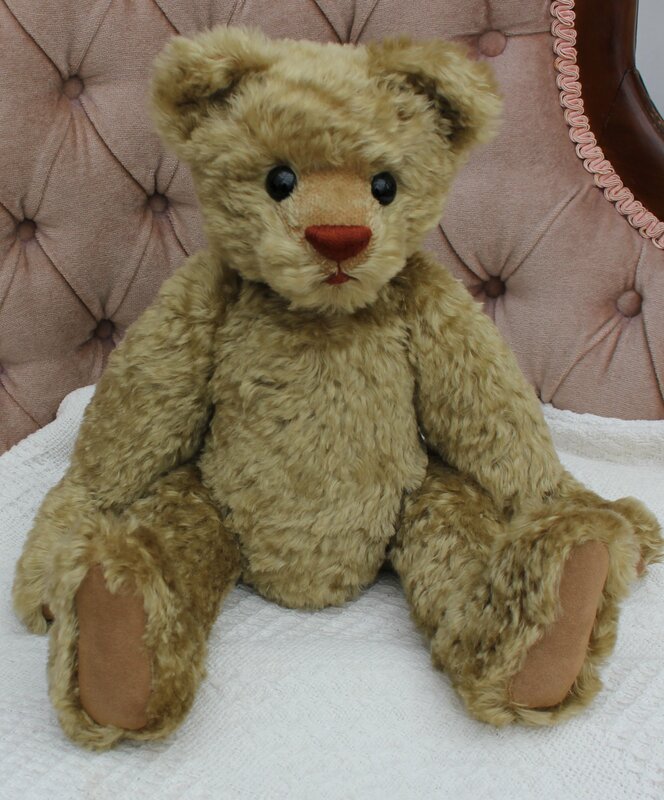 Bramble is a hand made 5 jointed traditional Bear. foot and paw pads, black glass eyes and a brown hand embroidered perle cotton nose. Please Note: Hermione is a collectors bear and not suitable for children. Hermione is a hand made 5 jointed traditional Bear. foot and paw pads, black glass eyes and a purple hand embroidered perle cotton nose. Please Note: George is a collectors bear and not suitable for children. eyes with white surrounds and a matching hand embroidered nose. Have a special bear made for a loved one with his or her name embroidered on the foot pad.